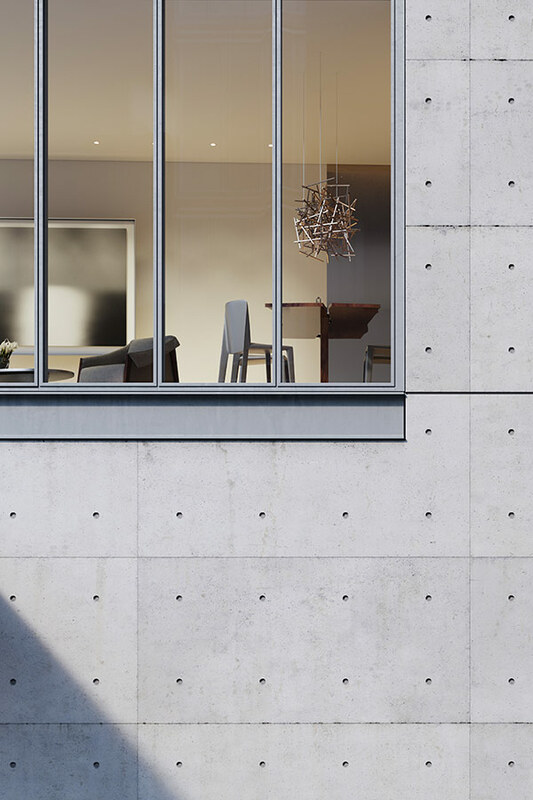 The Nolita apartment building displays Ando’s trademark use and mastery of concrete. 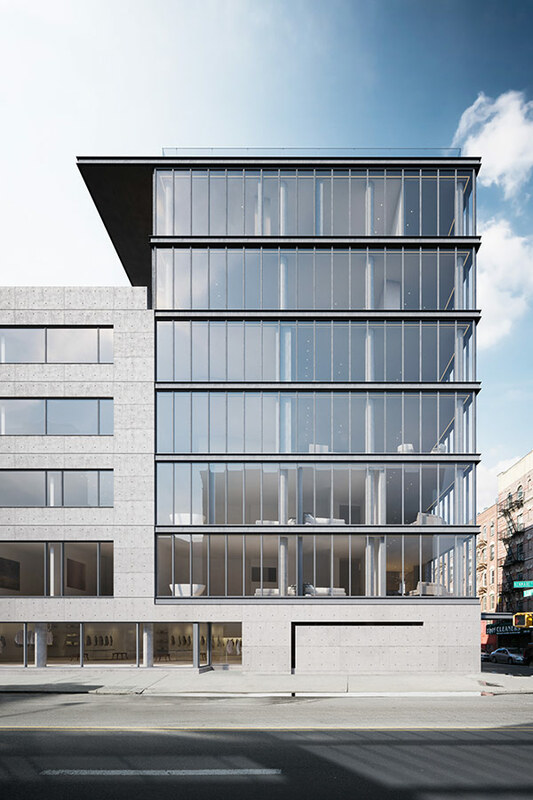 Located on Kenmare Street just down from Steven Holl and Vito Acconci’s Storefront for Art and Architecture, and around the corner from SANAA’s New Museum, the building is located in a vibrant urban intersection with access to many parts of the city. Ando worked on the design in collaboration with New York firm Gabellini Sheppard, which is designing the interiors and serving as architect of record. 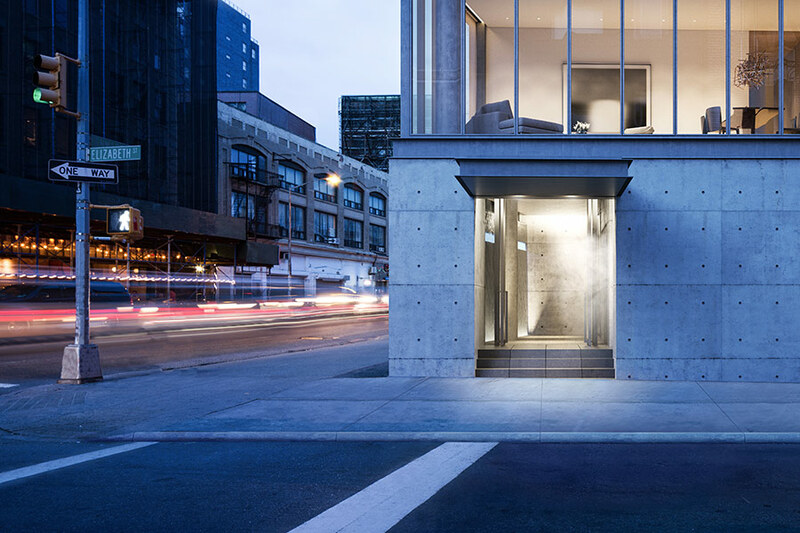 Both firms share an affinity for understated design and their collaboration has been close, resulting in a minimalistic building that showcases Ando’s mastery of concrete, which he has been perfecting since the 1970s. 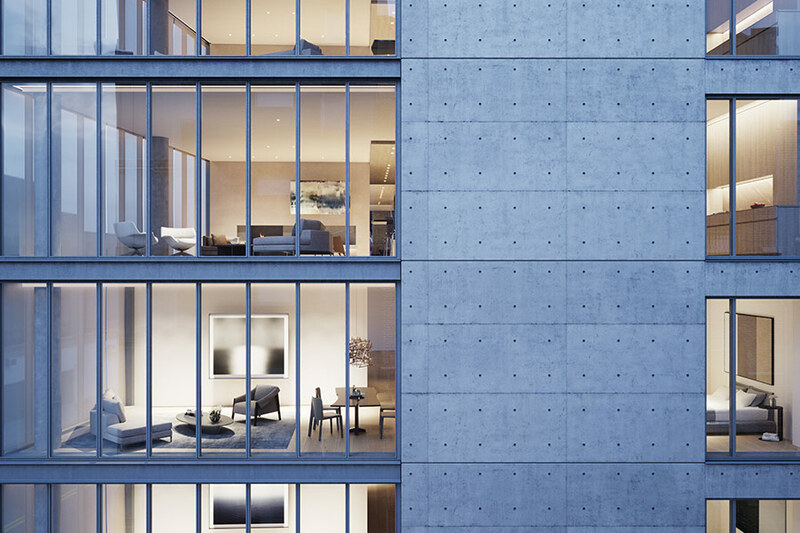 According to Ando, “A living space should be a sanctuary,” and for the NoLita project, the team has chosen a natural material palette that creates spaces that compress and expand while giving “life to light and water,” according to Michael Gabellini, principal of Gabellini Sheppard. Concrete solids give way to voids of glass and light. “Concrete is a very democratic material, very accessible,” Gabellini explained. “It doesn’t create a gap between the rich and poor like some other materials.” A slotted entry from the side of the building on Elizabeth Street gives way to an entry vestibule where a slit of light shines through fritted glass across a water wall, combining water, light, and sound into sensorial experience. A 55-foot-by-99-foot vertical hanging garden faces Chinatown and can be seen from Elizabeth Street as well as the adjacent rooftop, creating a green courtyard for the neighbors. The units’ interiors are luxurious with details and materials that look exquisite without being ostentatious, which is appropriate for the relatively quiet neighborhood with small-scale buildings. The second and third floors are split into two units, while the fourth and fifth are single units. 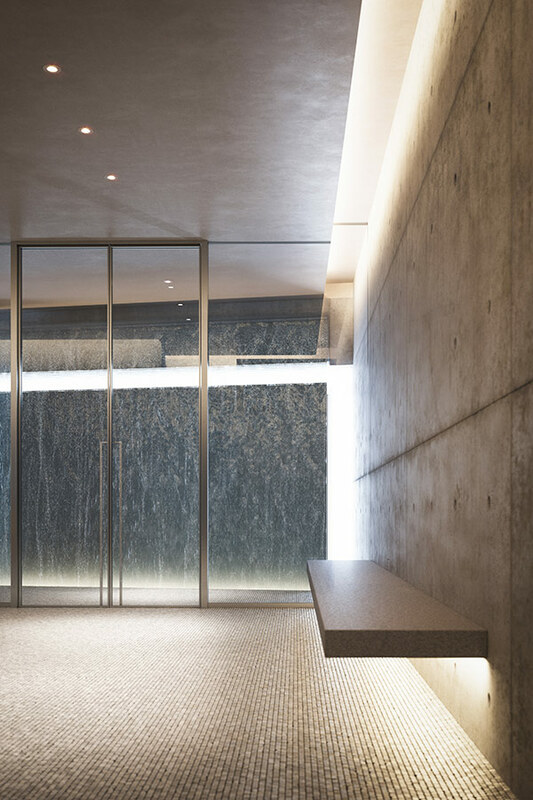 A penthouse occupies the top three floors and includes its own reflecting pool and water walls. Gabellini Sheppard will be providing bespoke interior design services. 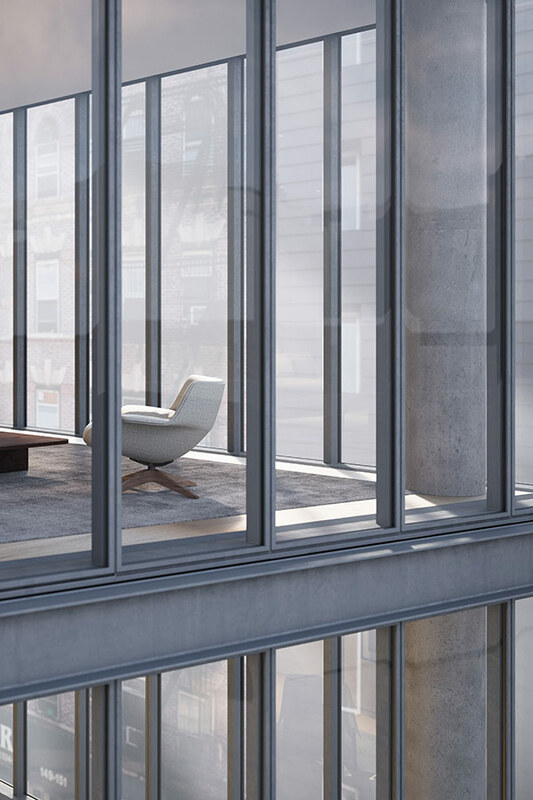 The developers, Sumaida + Khurana, also have plans to build a 400-foot-tall tower in Midtown designed by Álvaro Siza.